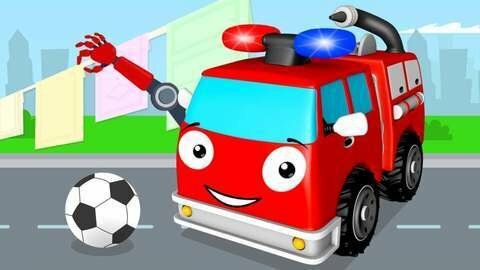 We have prepared for you a new car cartoon for kids! In this series, the train stumbles upon linen, which was hung by Red Fire Truck. Now our heroes will have a fun trip around the city and meet with the Monster Truck. Watch online for free funny cars cartoons for children, and a good mood is guaranteed!